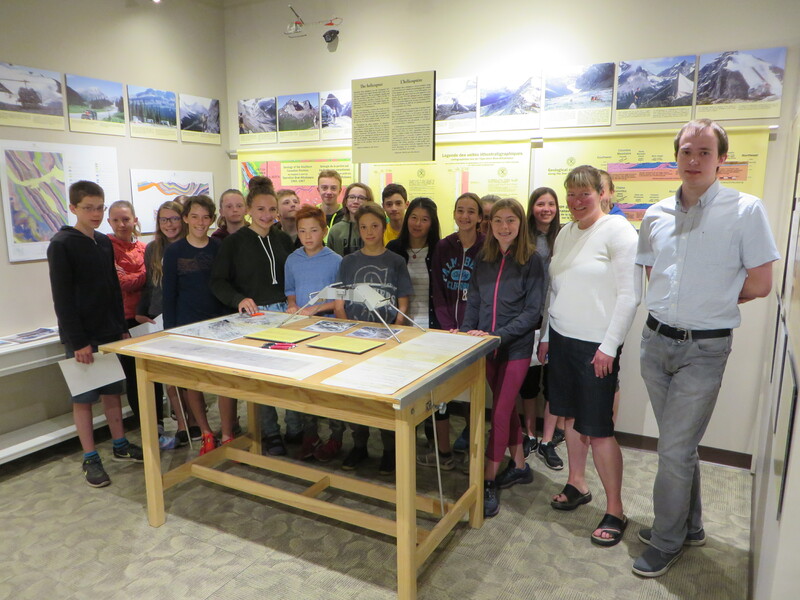 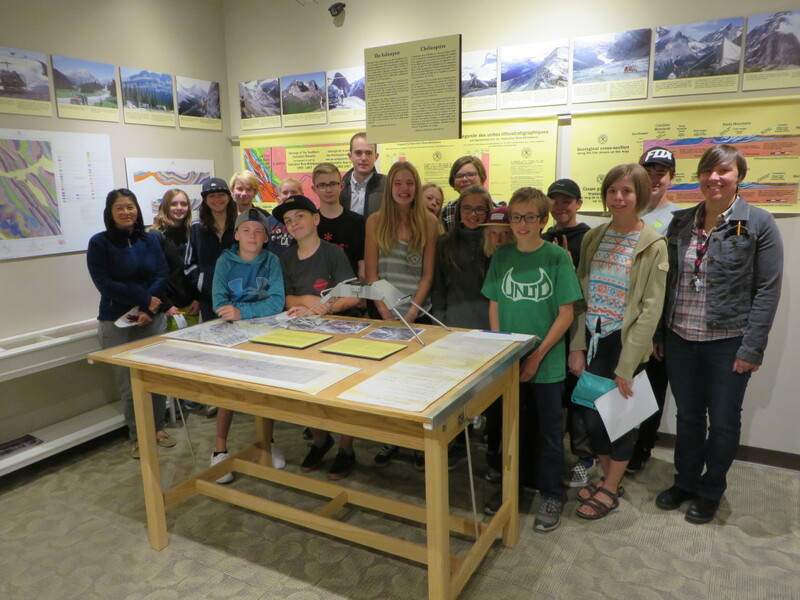 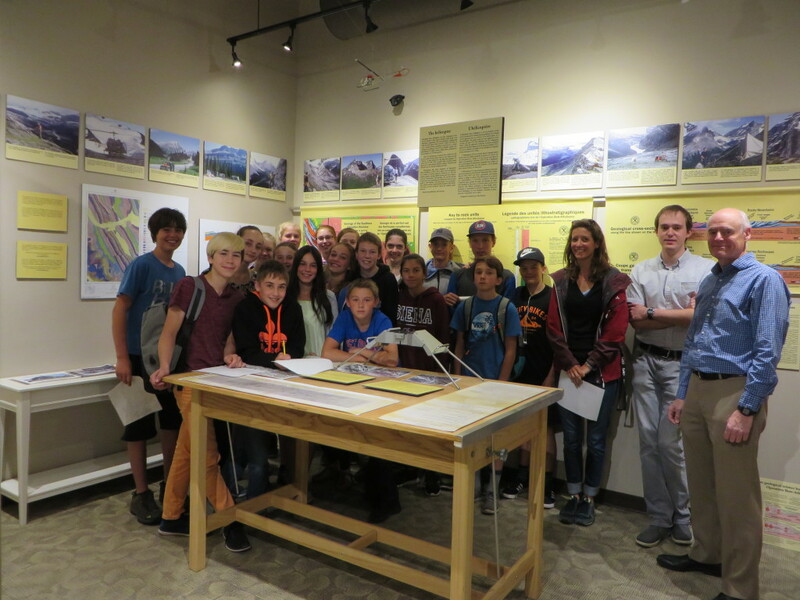 Geoscience presentations were given to ~75 grade 7 Lawrence Grassi Middle School students – two classes each on Monday mornings of June 12 and 19. 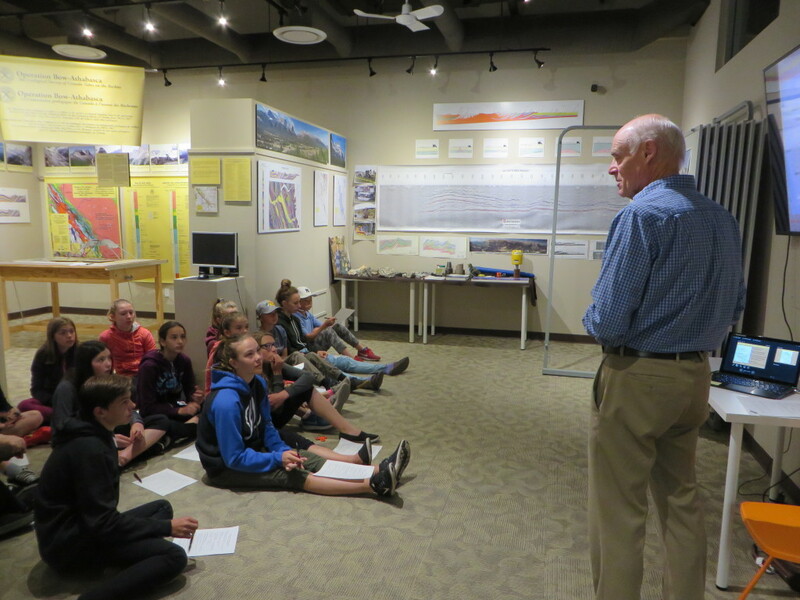 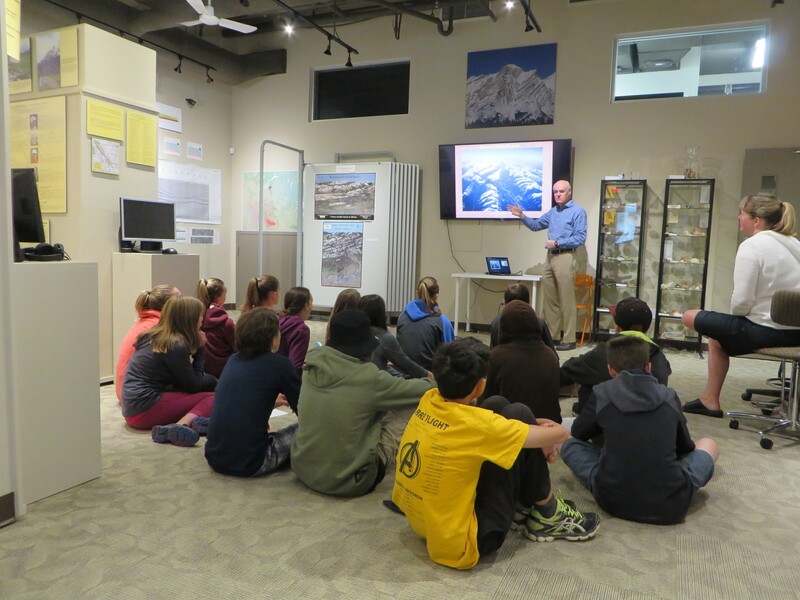 Rick gave a half-hour powerpoint presentation on geology and then the class split up into 3 groups and rotated through three geoscience stations in the facility – microscope , Operation Bow Athabasca and geology/geophysics – for 10 minutes each. The three stations were manned by Hugh Alvarez (microscope), Hannah Mark (Operation Bow Athabasca) and Rick Green (geology/geophysics).